Katarzyna Dworecka is the designer behind MINDLESS. Her newest collection 'SUNNY SIDE UP' is like a walk down memory lane, a translation of her childhood memories. The atmosphere of the collection is dreamy, almost fairy-tale like. The collection gives an impression of being wrapped in the safe cocoon of childhood, and this is punctuated by fun, childlike accessories. The collection will be showcased at the Show Programme on Saturday the 16th of June at the SAM-Decofabriek. You can get your tickets here. What made you realize that you wanted to work in (fashion) design? I was always passionate about clothes, since my childhood years I read fashion magazines and loved the idea that you can say so much through the way you dress, make a kind of a statement. Besides, I was a part of the modern dance group, for 10 years and we were participating in different kinds of dance competitions, so for each choreography, we had different costumes, it was a really fun way of expression. I was used to the mixture of sound, movement, and costume forming a whole, in order to tell a story. But the idea of me being a fashion designer came later, when I graduated my MA in finance and all of my friends were starting their career in corporations. Then, I realized it’s now or never time for me to make a change in my life, so I enrolled to fashion design course at Cracow School of Art and Fashion Design. So far, I think it was the best decision of my life. I love the idea that you can tell people a story or show them what it is you are about, without the need to speak. That’s the beauty of it. What would you say are your main achievements in your career? I have just graduated Cracow School of Art and Fashion Design and my graduate collection met with great enthusiasm, I won media award and a special award for creativity and visionary during Cracow Fashion Week. This is something that convinced me that I am on the right path. Another big thing for me is FASHIONCLASH Festival, I am so honored that I will be able to show my work among other excellent designers from all around the world. It’s something that I am definitely looking forward the most. I believe that you can be inspired by anything. It doesn’t matter what the content is, it just matters that you expose yourself to something new and explore new things all the time. I love going to museums, especially to see modern art exhibitions, for me, it’s an endless source of inspiration. What I love about art is that’s really subjective, one person might see something in someone's work that other people don't see. A concept, sometimes just one small element of an artwork, a color can start a process in your subconscious, which will flow out to your mind during the design process. 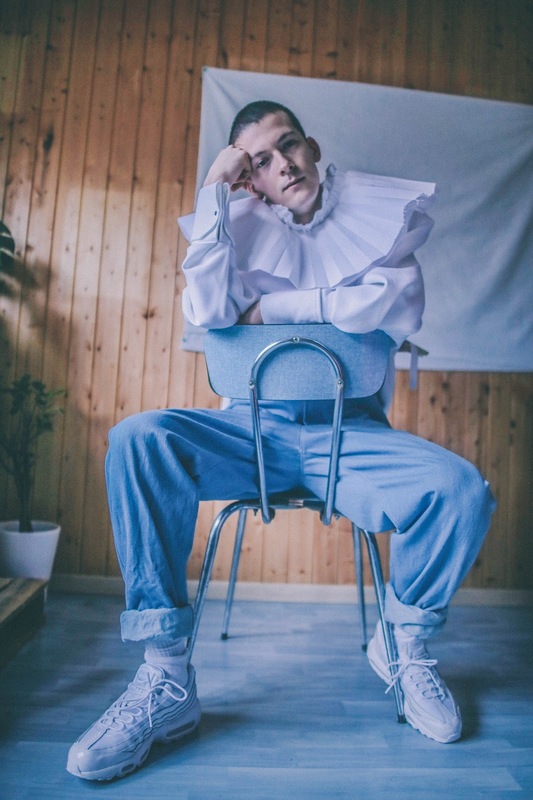 Why did you decide to participate in FASHIONCLASH Festival 2018? It's an amazing opportunity to show my work among other incredibly talented designers to a broader international audience. I am super excited to be a part of it, especially because it will be my first international fashion show. 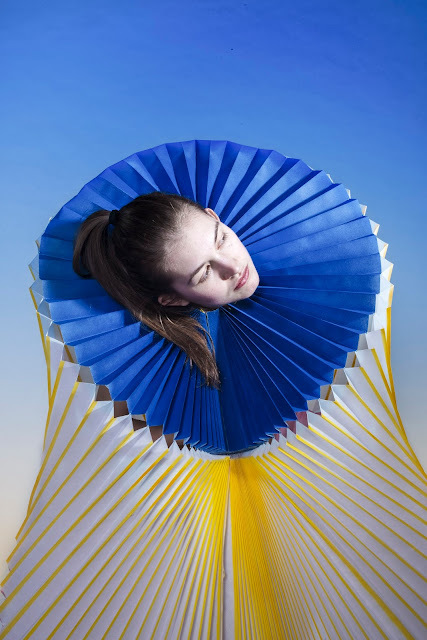 Meet Carlijn Veurink, a recent graduate from the Product design department at ArtEZ Institute of the Arts. Even though her background is in product design, she has always been interested in performing arts, and tries to combine disciplines in a playful way. Movement, humour and the human body are the key aspects in her work, resulting for instance in dance costumes which translate the movements of the dancer into completely new ones. This is the thought behind her current project, 'A | Scen | Dance'. Everyone has their own way. Their own way of acting, thinking and moving. Religion and fashion both are ways to express and expand yourself. A | Scen | Dance, controlling influence, refers to the way you must create your own autonomy within these concepts to make them personal. This collection consists of different suits which react to your body. You can take control over shape and outline by moving around. Transitioning your movements make the suit come alive. Carlijn Veurink makes use of materials that have their own way of reacting to change. The movements the body makes echoes through the material and translates this into completely new ones. 'A | Scen | Dance ' will be presented at the SAM-Decorfabriek on Saturday the 16th of June as part of the Show Programme. You can get your tickets for the show here. I like to imagine scenarios in which people behave, move or react in different ways than they would normally do. I use design to create and visualise these scenarios. I try to make other people also wonder about how we do or make things. I didn't specifically choose fashion. I studied product design because it is really broad and can result in anything. After I graduated I got an assignment from the cardboard company Smurfit Kappa. I decided to make the cardboard flexible and put it around the body to make it dance along with the body. I collaborated with a dancer from Introdans to make a video of this costume. This worked so well I decided to expand this project into a collection which resulted in the work I will show during FASHIONCLASH. My 'career' has only recently started, but so far I got an assignment from Smurfit Kappa to experiment with their materials, which are paper and carboard. This was presented during the Dutch Design Week last year. And my graduation collection The Production Theatre was selected for the Diploma Selection of Designblok festival in Prague and for Make me! during Łódź Design Festival in Polen. When you’ve dyed your hair blonde you naturally want to enjoy the colour as long as possible. By using BLONDE.ANGEL WASH & BLONDE.ANGEL TREATMENT you will cast out any yellow and keep it from coming back. 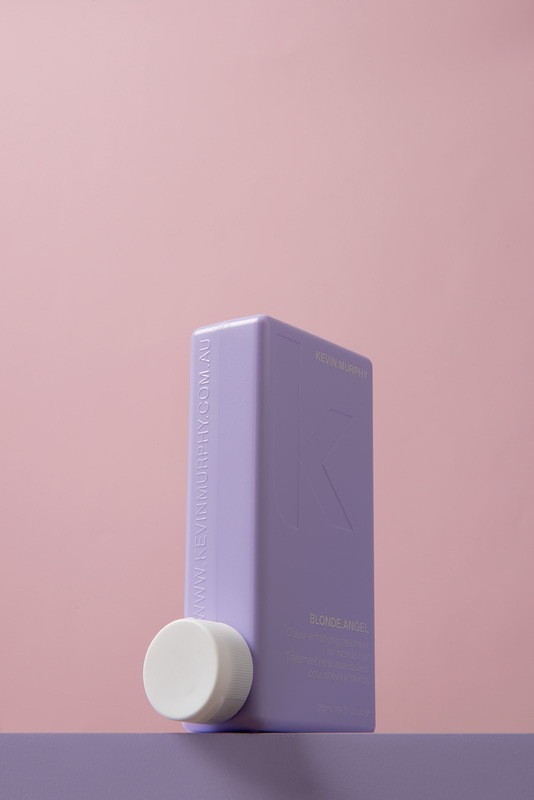 This wash and treatment contain violet pigments which make sure your blonde locks stay beautifully cool toned. 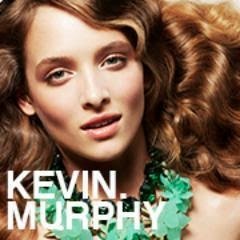 Use these products with every wash when you have a greyish-blonde colour. Are you rocking a more neutral blonde colour? Then only use the BLONDE.ANGEL TREATMENT in combination with, for example, a nourishing shampoo like REPAIR.ME WASH.
Meet Emilie Thirion, a Belgian Menswear designer. She says she never chose to do fashion design, but instead discovered that this was what she needed, discovering that this was the way she could truly express herself. Therefore, it is not surprising that the concept behind her collection is truly personal. In her new collection, 'Under Depression' she explores an illness that she herself has dealt with on a daily basis. Using it as an inspiration, she went even further. By using her own distorted face in the designs, she wanted to become the face of the illness herself. In an exaggerated version of the garments she personally uses, she wants to emphasises how people with depression feel as they are suffocating, while finding it necessary to partake in the 'play' of life. Emilie Thirion's collection will be presented at the Show Programme on Saturday the 16th of June. You can get your tickets here. Nothing at all. Actually, I’ve never wanted to work in Fashion. Before I started to study fashion, I entered an architecture and engineering school which I had prepared and dreamt of since I was 6 years old, and finally I found out it wasn’t my life at all, I was looking for something more human, more creative, more authentic. I remember saying to myself “You have always wanted to be an architect-engineer and it’s a real disaster, why not trying something completely different and very surprising? Maybe this is the key of happiness: a spontaneous and adventurous life.” Two days after, I started fashion courses, and it was the perfect match! Now it’s been 6 years since I’ve decided to choose fashion for no reason, and it couldn’t be more perfect! ‘Expressing the identity of my country through my garments’, this is how Annaiss Yucra Mancilla, a Lima based emerging designer, describes her design vision. Dedicated to transmit a colorful conversation through fashion, she aims to bring her Peruvian heritage to confront social barriers through her garments. 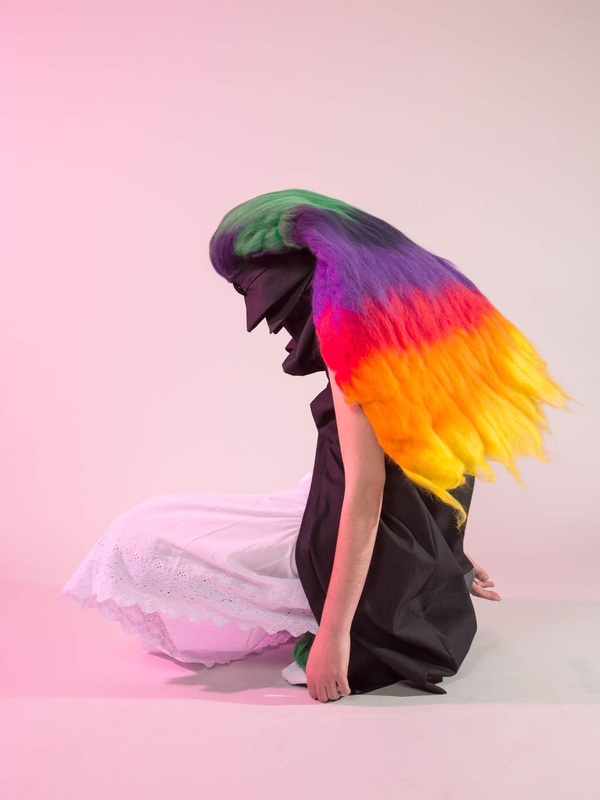 This theme is highly visible in her new collection, 'WILLKAS', inspired by Peruvian mythology, and the story of the twins Willkas, a boy and a girl, who have to go through the human world and conquer the adversities that come with it. Emerging victorious, they are rewarded by the Gods and transformed into the sun and the moon to bring balance back to earth. Her collection draws a parallel between this myth and modern Peru, seeing the children from low resources as the Willkas who have to go through the adversities of everyday life. Her collection will be presented at the Show Programme at the SAM-Decorfabriek on Saturday the 16th of June. You can get your tickets to the show here. Since I can remember the sound of the sewing machines are part of myself. My family owns a small textile factory in Lima, and the fabrics and trims have been part of my childhood. When I was a kid I used to give them my doodles of “new designs” so they could make them. I think that summarize my choice: its my heritage and legacy. I wanted to have a way to speak through all my thoughts and concerns and views about life and my country. I found the balance when I started designing. I found a way to communicate through fashion. I had the incredible luck and opportunity to be able to be part of wonderful platforms in London (graduate fashion week 24th anniversary), Lima (Lima Fashion week)and soon New Zealand( iD Emerging designer awards 2018). But my main achievement in my career are the projects in which I have been collaborating, such as working with male inmates in San Juan de lurigancho jail, or with the indigenous Shipibo ladies in the Jungle of Peru and the Andean community of San Pedro de Cajas and their artisans. It has really made me realize I can change and improve lives, by creating and helping these people develop new incomes for a better life. My biggest muse is my country. I found so many sorts of inspiration. I have indigenous heritage, so my background was also a big part of how I define myself and my garments. As a third generation of Peruvian immigrant to the capital, I always lived with this huge problem in Peru about racism against their own for their skin or heritage, so growing up I had to deal with this problems and I had to go through a shame of myself and lack of identity, to embracing it and really capturing this beautiful part of myself in my pieces. Why did you decide to participate in FASHIONCLASH 2018? What are your expectations? 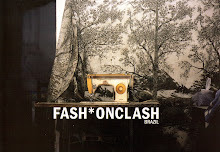 FASHIONCLASH is an upcoming contemporary platform, that embraces emerging designers and gives them the opportunity to share their work with the world. I feel very lucky and grateful to be part of this year's selection. I really want to land to an Asian platform and I believe this event will really help me to grow as a designer and help me achieve my dream. 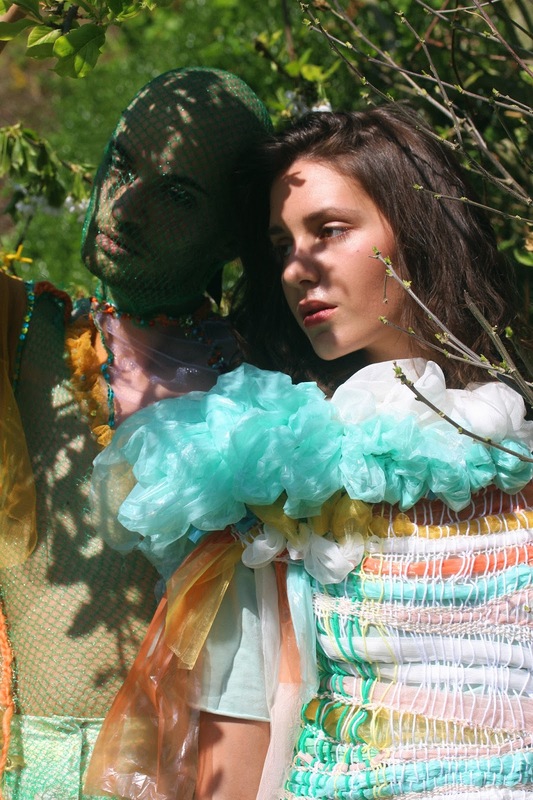 Meet Daria D’Ambrosio, a second-time FASHIONCLASH participant. She was born and raised in a village in the south of Italy, and it is this culture and tradition that characterizes her identity. Therefore it is not surprising that, in line with the theme of the FASHIONCLASH Festival 2018, her collection 'Aurum Auris' was inspired by sacred vestation, and the charming mystery celebrated by women. Her collection will be presented at the Show Programme on Saturday the 16th of June, at the SAM-Decorfabriek. You can get your tickets for the show here. It all happened by chance ... I constantly felt the need for something that was not there. So I thought of enrolling myself in the “polimoda” in order to express what I had inside. Rita Sá comes from a small village in Portugal, near Porto. Probably the fact that she lived in a small village made her appreciate nature in a different way, paying attention to every detail and therefore becoming very emotional. For her, emotions are the most important part of a fashion designer’s work. This is reflected in her collection 'Glass ceiling', which is centred around the idea that 'if you have a glass ceiling, don't throw rocks in the air'. The collection explores the world of hypocrisy of the individuals who believe that it is better to be a false somebody than a true nobody. In a gradational process, the collection exposes the vulnerabilities that we try to hide. Rita Sá's new collection will be presented at the Show Program on the Saturday 16th of June. You can buy your tickets here. My family has a strong connection with art, which has always influenced my interests. I have no doubt that fashion was the best way for me to express my thoughts and feelings. From the beginning of the creative process, until the last retouch before the models enter the runway, I worry about every detail and live it in a very emotional and personal way. Each concept, sketch or detail - however insignificant it may be - are a very personal discovery. Teun Seuren, is a 25 year old Dutch designer from Limburg. 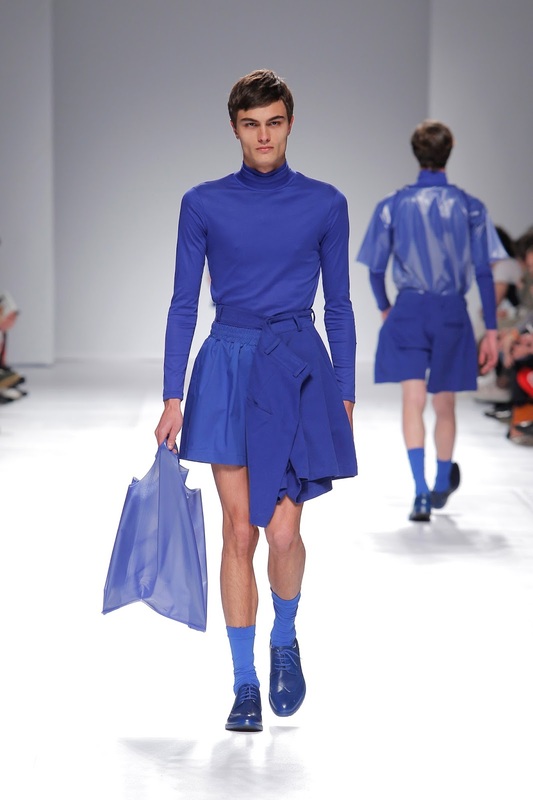 Last year he graduated from HKU University of the Arts Utrecht as a Fashion Designer specialized in men's fashion. His work gives of a message by posing questions with different perspectives such as homosexuality gender and vulnerability. For this collection, 'I Decline', he has been inspired by the theme of the FASHIONCLASH Festival 2018, Fashion, My Religion!. His collection explores the relationship between religion and gay power, making a statement about being gay and having faith. TEUN's collection will be presented at the Show Program on Saturday the 16th of June. Get your tickets here. You can also see Teun's work at Centre Céramique as part of God is a Woman!? project exhibition. I realized that I wanted to work in fashion after making the mistake to study electrical engineering. This wasn't the right career for me and I had to make a radical change. One of my teachers gave me the recommendation to visit a fashion school. When I stepped inside that school I knew thas was the place for me and it felt like I was home. As a child I always loved to dress up and play around in my grandma's workspace. Once I made an entire collection for my nieces, made from old fabrics and curtains. This was my first experience with fashion and I loved it. I can definitely say that I got the sewing skills from my grandma, and I am really grateful that she let me help her all the time, even when I was always standing in her way because of my curiosity. After I graduated I was selected for the "Lichting Show" at Amsterdam Fashion Week, this was definitely the icing on the cake after 4 years of hard work. I didn't win but being part of this amazing event was worth all the hard work. Mostly I get inspired by things that frustrate me. I want to highlight these frustrations and transform them into something good. PRJCT22 is a group of young designers and former classmates, who met during their fashion bachelor studies at AMD Düsseldorf, Germany. Bringing all their own different styles together to create something new, was an interesting challenge. Out of this was born PRFCTN_Acceptance of the Imperfect. The collection explores the meaning and importance of inner and outer beauty in our society. Outer perfection can be seen as a forgery, true beauty reflects the imperfections of the inner beauty. This collection aims to inspire acceptance of the imperfect and self-reflection. So, are you beautiful? PRJCT22 will be presenting their collection at the Show Program on Saturday the 16th of June at the SAM-Decorfabriek. We all have different reasons to work in fashion, design or art world, but what we all have in common is, that fashion brought us together. Although we all have totally different styles we still respect and accept each other’s work. And the most important thing we all have in common; we inspire each other, and are inspired by other designers and artist. Inspiration is one of the reasons we want to work in fashion. SorteMaria is a collaboration between two designers, Angelo Castro and Yenni Leal. Based in Uruguay, they will be presenting their new collection at the FASHIONCLASH Festival. Their collection, inspired by the duality of the everyday and the religious life which emerges on special occasions, in the form of 'Maria', in the catholic tradition of Venezuela and Uruguay. 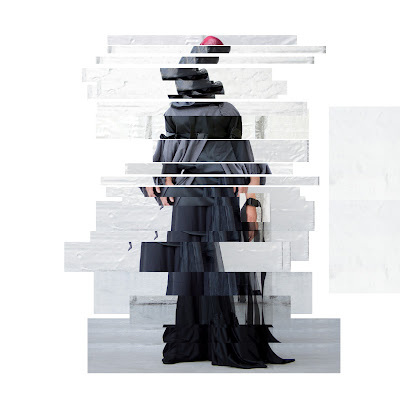 In the collection, unique textures and shapes merge to create conceptual silhouettes through which people protect, live and transmit their beliefs. The collection will be presented as part of the Show Programme at the SAM- Decorfabriek on Saturday the 16th of June. You can get your tickets to the show here. A: I always had artistic inclinations mainly for dance and theater. When I wanted to do my specialization I found that design was the best way to communicate without being me physically. Y:I am interested in what people can transmit with the way they are dressed as well as the process behind each project in this profession.